There is fear that comes with memoir. What is the impact on family? Will it lead to irreversible damage? Cut off hope of healing or reconciliation? Or, if the relationship is already severed, who cares what you write? Then the worry is retaliation. I’ve heard this many times over the years. 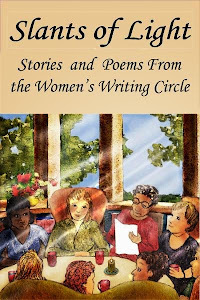 At a talk last week with memoir author and friend, Kathy Pooler, at the Amsterdam Free Library in New York, these and other questions again arose. Why put yourself through the agony of unearthing the pain of the past? Hopefully, the journey offers many treasures along the way, Kathy said. She's right, of course. Still, memoir is a journey some choose not to travel. Which brings me to my father. 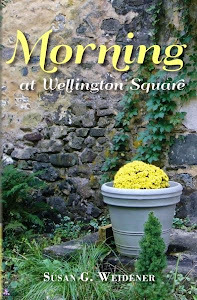 What would Dad have thought about me writing and publishing in my memoir, Morning at Wellington Square, the story of his mid-life affair? He has been gone for over two decades so I'll never know. Dad, an only child raised by a mother from Manchester, England, had much of the British in him. He rarely verbalized his emotions or encouraged others to. I can only surmise that he might have been uncomfortable with publishing family secrets. If it is true that the only heart we can ever truly know is our own, how do we write with certainty about those who impacted us? How do we portray them with honesty and fairness? When I talk about memoir to a group of people, as I did in New York, the issue of family fallout and family stories invariably arises. I point to the great Virginia Woolf, how she studied the times in which her parents came of age and applied that to an understanding of her father and mother. Her father, a writer, depended on women to stroke his ego, yet he used them—raging at his wife and daughters. Virginia’s mother excused his abuse as “genius.” Woolf resented that “myth” and her father for most of her life. In this post I write about family myths passed down from generation to generation. The myth I grew up with: honorable and reliable men are incapable of betraying their family. 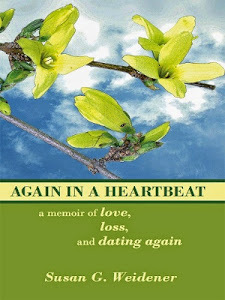 Would I have written the story of my father’s affair when he was alive and risked damaging our relationship? In all honesty, I probably wouldn’t have had the guts. 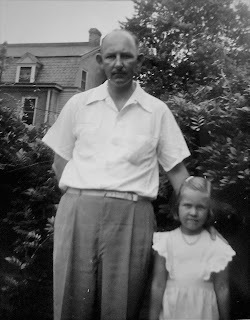 Sure, I could have told him I wrote it because I learned more about myself—what memoirists call “the truth of my story.” Still, he was my dad and I loved him and he loved me. I also feared his anger and his disapproval. After all, Dad was a good Episcopalian and studied the Bible. He knew storytelling was integral to the religious life and that Jesus used stories to teach others and share the universal journey. Before Dad died, I had a short and awkward conversation with him about the affair. We never spoke of it again. That conversation is in the memoir. In my memoir, I tried to present my father as an academic who loved literature and found his passion in teaching, a profession which my mother constantly reminded him didn’t pay enough for her to stop pinching pennies—a worry magnified by growing up in the Depression. 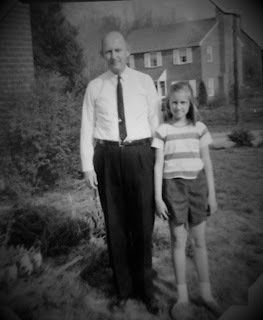 I believe my father wanted a woman who adored him. From what I could tell through overhearing his phone conversations with the “other woman”, he found that adoration. 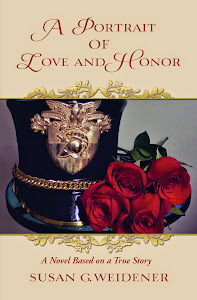 While my mother remained faithful, kept house, and raised his children, adoring him was not her priority. After the affair ended, my parents chose to stay together. He died thirteen years before she. From conversations with my mother, I learned she never forgave him, something I also wrote in the memoir—again, after she died. My part in this drama is explained in my memoir. I advise this when writing about family: Pay attention to details…journals, diaries, photographs, conversations. Don’t paint people in black and white, but offer portraits with insight, based on knowledge, real and authentic. Ask yourself: Would I want someone to tell my story any other way? What is my gut telling me about writing something this personal? Finally, no one wants to read a rage or rant or a lengthy rationalization of "why I did this." Be honest about your feelings, your lessons, your part in the story. Tell your story as a writer. Some memoirists are best advised to visit an attorney to clarify if what they write is libelous. Then, after thinking about this and still deciding to write a memoir, you can’t go wrong. That said, this journey of fear and family becomes more challenging when the person is alive. Like I said, I don't know if I could have done it.